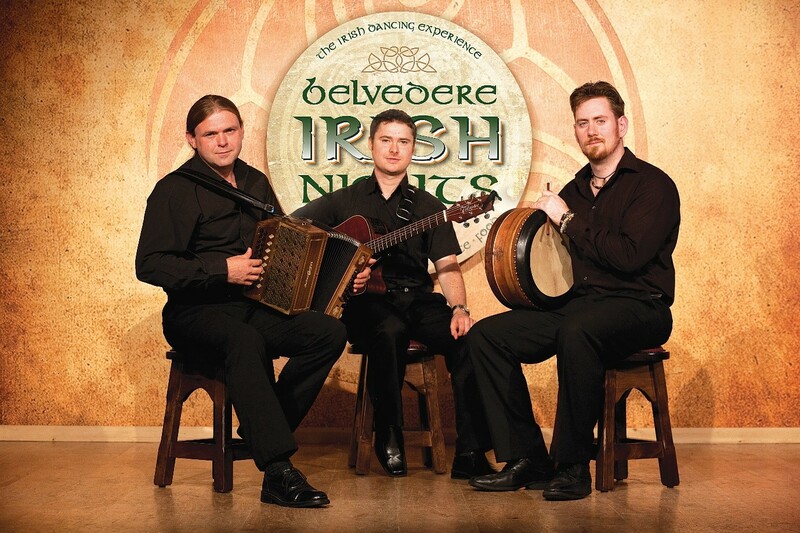 Join us for a night of traditional Irish entertainment at the Belvedere Hotel where the World renowned show ‘Belvedere Irish Nights’ takes place. 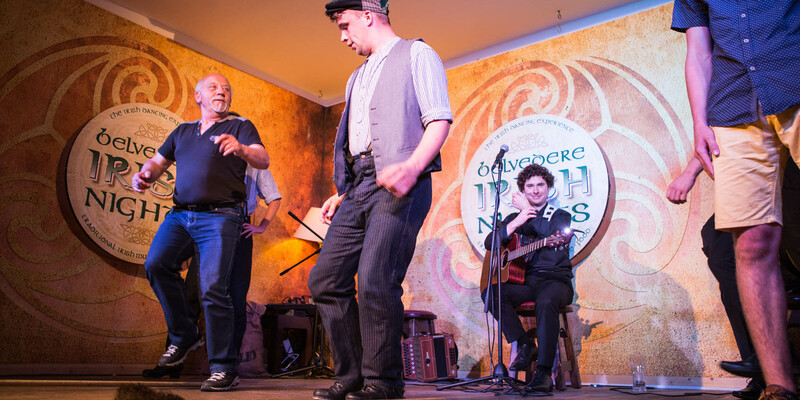 This is a unique opportunity to experience traditional Irish music, dance and food for which Ireland is famous the world over. 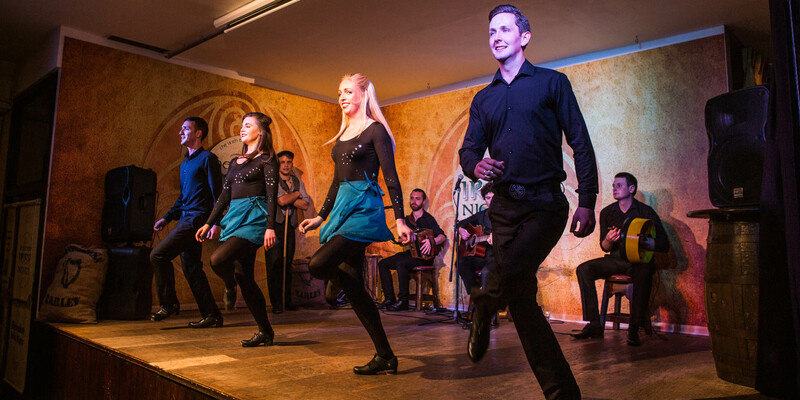 This spectacular show will give you a flavour of the different styles of Irish Dance from ‘Sean Nos’ translating as ‘Old Style’ to Modern. The show features a cast of dancers whose credits include world famous shows such as, Riverdance and Lord of the Dance. The spectacular show has been choreographed by the Directors of “Damhsa” and Jim Murrihy, with an original score by Anthony Davis. 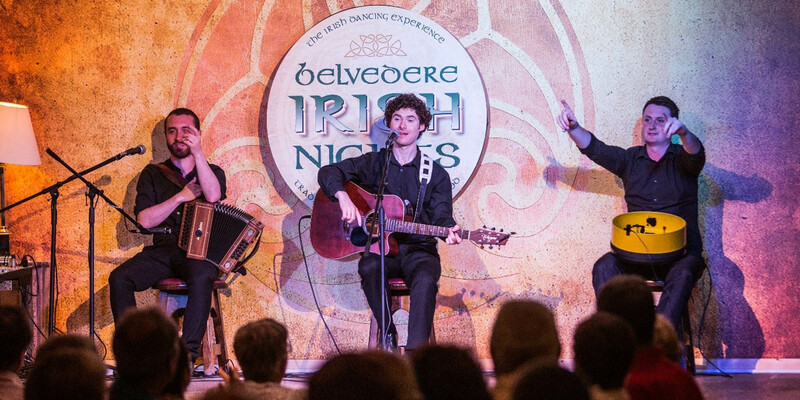 All cast members have performed both nationally and internationally in such famous shows as, Riverdance, Feet of Flames and Lord of the Dance. They have also showcased their talents on TV shows such as The Tonight Show with Jay Leno, David Letterman, Dancing with the Stars, The English National Lottery, the 69th Academy Awards, The Late Late Show, the Rosie O’Donnell Show and numerous others. 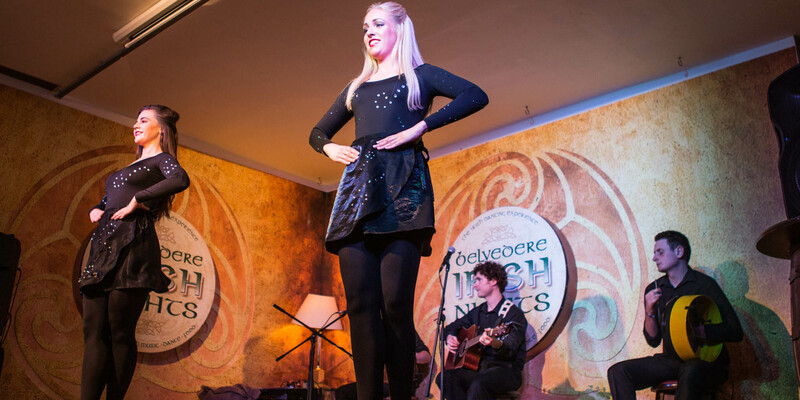 The two-hour show features spectacular Irish dancing, accompanied by live music performed by a group of talented Irish Musicians. 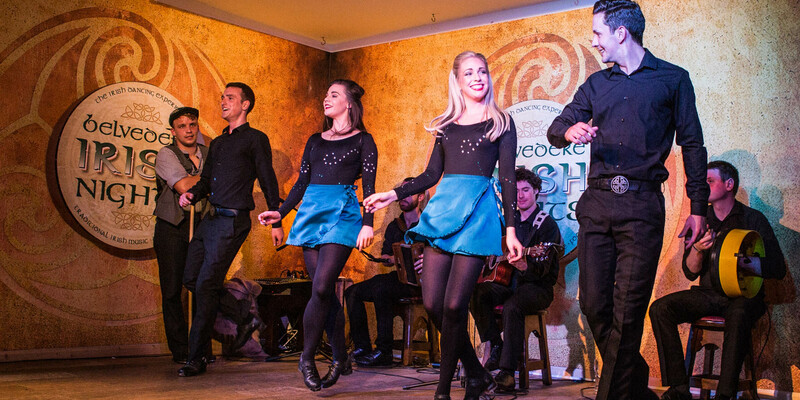 This spectacular show will give you a flavour of the different styles of Irish Dance from ‘Sean Nos’ translating as ‘Old Style’ to Modern. The show features a cast of dancers whose credits include world famous shows such as, Riverdance and Lord of the Dance. 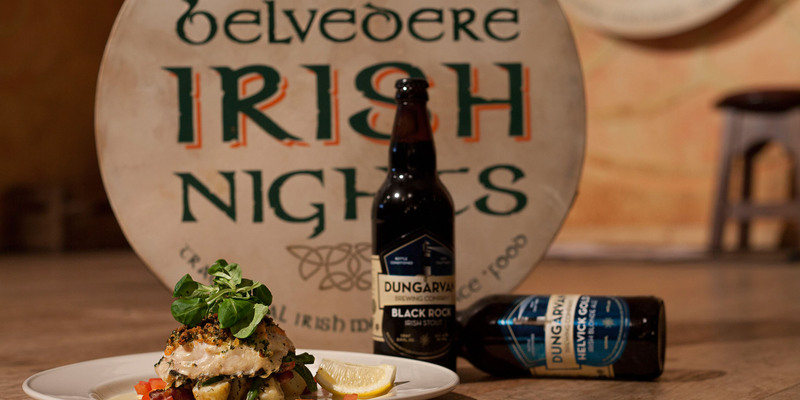 You will be served a sumptuous three course menu offering a choice of the best in home- cooked Irish dishes.